About to start shipping is the new Archos 5 Internet Media Tablet, a rather snazzy multimedia gizmo offering mobile web surfing, MP3 and video playback and optional TV recording. a 2.0 inch QVGA TFT LCD screen supporting 262,144 colours. 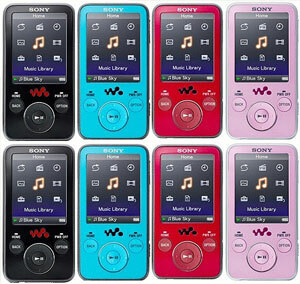 The players come with three different memory capacities, with the NWZ-E435 offering 2GB, NWZ-E436 4GB and the top of the range NWZ-E438 serving up just 8GB of storage (come on Sony – folks are getting used to 16GB and 32GB capacities now and 8GB is, like, sooooo 2007). While we were at the Archos launch in London last week we had a run through of the Archos Portation. 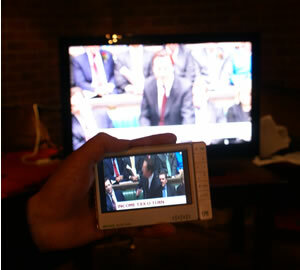 It’s a free plugin for owners of the Archos TV+ which lets you stream live TV from your TV+ to a laptop, Symbian phone or handheld Archo 605 or 705 with DVR station if they’re equipped with the £30 plugin. 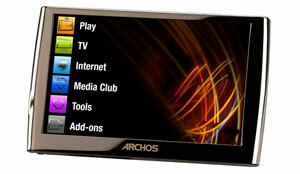 Think of it as a free Slingbox with your Archos TV+. 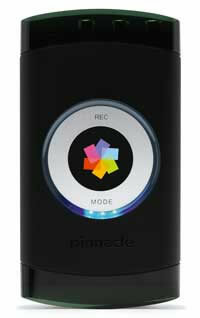 Pinnacle are launching the Pinnacle Video Transfer analogue to digital video ripper at CES. If you’re fed up with having to switch on your computer to rip a video to play on your digital media player, your life could become a little easier. 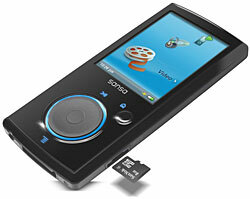 The pocket-sized device can take any S-Video, Composite video and stereo audio analogue source as an input and cleverly the digital H.264 output is stored on any USB storage device, including Apple iPod Video, iPod nano (3rd generation), iPod classic, Sony PSP, Sony PSP slim, USB flash drive or USB hard drive. The quality of the video can be set to one of three different levels – Good, Better, Best – depending on their preferences for video quality or the actual size of the video files. Uses run through the obvious of capturing TV, DVD player, PVR, camcorder or set-top box directly to the less obvious, like capturing video game sessions for showing to their mates later. Priced at £100, it’s expected to be available in the UK soon. 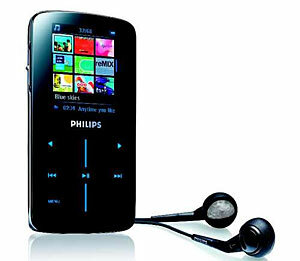 Although most folks had assumed that Philips had long given up the ghost of scoring a hit in the portable MP3 player market, the Dutch electronics giants are back with two new contenders. Hoping to divert some of the tidal wave of Nano-bound cash into their own coffers, the ‘Streamium’ players come in 4GB and 2GB versions, christened the SA9345 and SA9325 respectively (way to go in the naming department, Philips!). For those music lovers not currently worshiping at the shiny altar of Steve Jobs and the Church of the iPod, Sandisk’s new widescreen flash-based portable media player might just be the ticket. Thinner than a pencil and with a clickable scroll wheel controller that glows a rather pleasing blue, the Sansa View comes in 8GB and 16GB versions and keep you stocked up in mobile tuneage for a healthy 30 hours of tunes (or 7 hours of video). 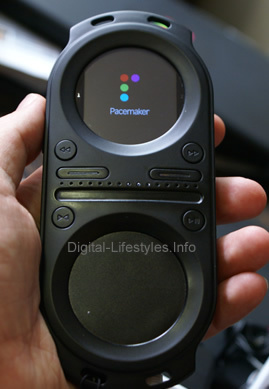 We were privileged to get our hands on the Pacemaker a while back – something we’d had a burning desire to do since we first heard about what the Pacemaker might be. It’s a handheld DJ unit that packs a considerable punch – sufficient to make it realistic to play a whole DJ set using just the Pacemaker and no external units. 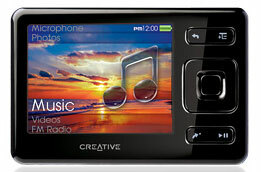 Slightly smaller than a vertically held PSP, it packs a 120GB drive; a colour display at the top touch sensitive cross-fader in the middle; circular selection pad at the bottom; a couple of buttons on each side and connectors on the bottom. Shinier than the beady eye of a well groomed Magpie, Creative’s new Zen looks a snappy number in its all-black suit, weighing just 65g and sporting credit credit card-sized dimensions. The 11.3mm thick mini-player doesn’t shirk when it comes to storage space, with three models offering 4GB, 8GB and 16GB options, backed by a SD memory expansion slot. 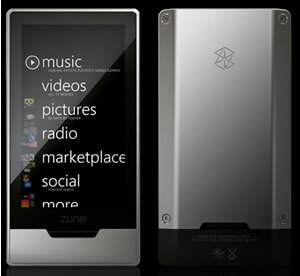 According to Zen’s calculations, you’ll be able wedge in 4,000 MP3s at 128kps on the 16GB model, which converts into 266 hours of non-stop music listening action/.